Hebrew University of Jerusalem Professor Elon Lindenstrauss is first Israeli to win highest global math honor, the 2010 Fields Medal. Hebrew University of Jerusalem Professor Elon Lindenstrauss has won this year's highest global math honor, the 2010 Fields Medal. He is the first Israeli to have been awarded the prize. Although the prize is known as the “Nobel” of mathematics, the award, named after Toronto University mathematician and philosopher John Charles Fields, is different in that the winner must prove significant mathematical achievements and show potential for the future. Lindenstrauss, 40, was awarded the prize for work using probabilistic and dynamic systems for solving problems in number theory, according to a colleague from the Einstein Institute of Mathematics. The Jerusalem resident is a major (res) in the IAF elite Talpiot program and has received the Israel Defense Prize among others, including the Haim Nessyahu Prize in Mathematics, the 2004 Salem Prize, the 2004 European Mathematical Union prize, the 2009 Erdos Prize of the Israel Mathematical Union and the Fermat Prize for Mathematics of the Toulouse Mathematics Institute. He is the son of Yoram Lindenstrauss, professor emeritus at the Einstein Institute, and a nephew of State Comptroller Micha Lindenstrauss. The professor will receive the prize together with three other mathematicians at a ceremony to be held at the International Mathematical Union Congress in India. Lindenstrauss, who has known for about six months that he had won the award, said he was surprised when he heard about the honor. “It's an exceptional feeling. 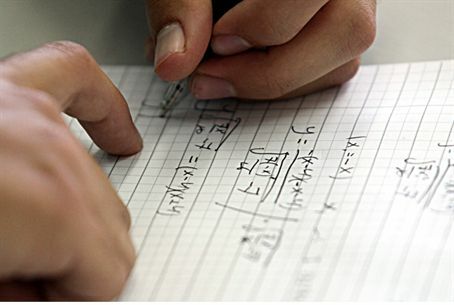 I know many brilliant, exceptional mathematicians,” he said. “It's very surprising to be chosen out of all these brilliant minds.” The professor added that the prize was awarded for a series of projects he had completed, some of which were undertaken with partners.